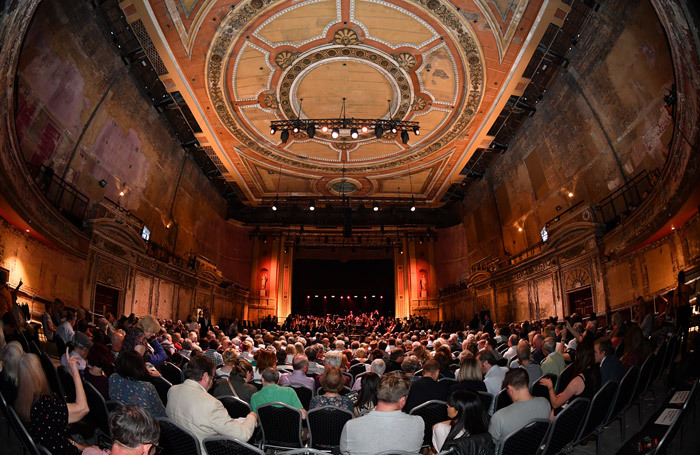 The fully equipped, state of the art Victorian Theatre at Alexandra Palace opened in 1875, but despite some glory periods the venue has subsequently had a chequered history and until recently has been empty and dilapidated for decades. Yet given much local goodwill, creative determination and some serious restoration – though like Wilton’s the theatre will retain its ‘found’ character, rather than being restored to its original pristine state — this valuable survivor from its period is due to re-open officially in December, and will thenceforth once again host a wide variety of events for a paying public. By way of a pre-opening, it was someone’s brilliant idea to present this semi-staged BBC Proms performance of Gilbert and Sullivan’s first extant opera – a mordant half-hour satire on human nature in general and the English legal system in particular – preceded by a mixed programme of shorter extracts from (mainly) theatrical pieces by Sullivan and his contemporaries. Given the expert participation of the BBC Singers, the eminently skilled musicianship of the BBC Concert Orchestra and Jane Glover’s decisive conducting, the whole programme went down a treat with a capacity audience. In the first half the solo singers distinguished themselves with accounts of various solos and duets by Victorian composers including Coleridge-Taylor, Alfred Cellier, Charles Villiers Stanford and the slightly later Dame Ethel Smyth, but it was Trial by Jury, simply but cleverly staged by Jack Furness, that really lifted off into the air. Mary Bevan made a knowing, manipulative Plaintiff with Ross Ramgobin as her flawlessly articulate Counsel. Sam Furness shone as the dubious Defendant, Keel Watson was in splendiferous voice as the fearsome Usher and Neal Davies caught the raffish spirit of the chancer of a Judge with surgical precision. A joyous occasion and a wonderful relaunch for a venue with enormous potential.